Nigerian literature has witnessed an impressive development in the past decades with the serene town of Enugu as one of the grooming cradles for some of the Nigerian writers of repute. To celebrate creativity in all forms of expression, The Crater Library is hosting its maiden edition of The Crater Literary Festival with the theme, LIFE IN MY CITY. 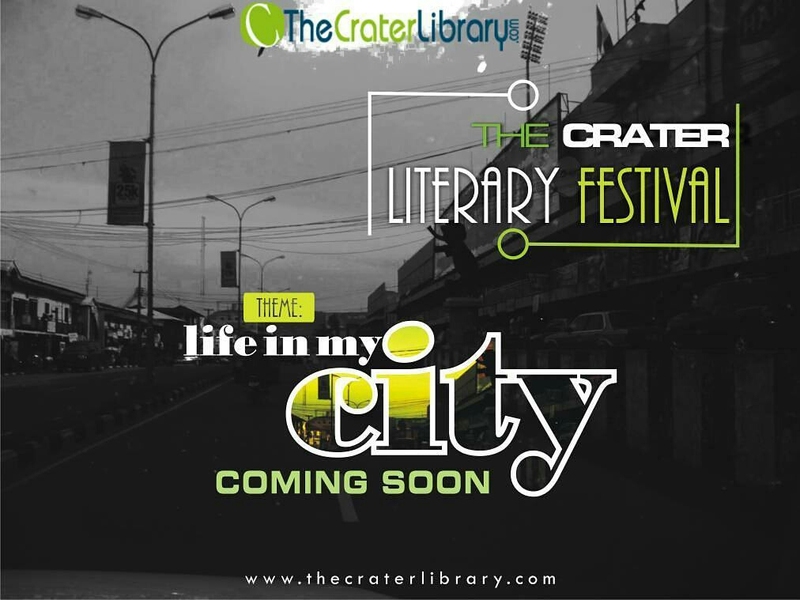 Life in my City Crater Literary Festival will be a one-day event which will take place on Saturday, 2nd December 2017 at the Enugu State Public Library Lawn. Participation in the Crater Literary Festival is by free online registration but with a gate pass of one book donation only. It will also be open to participants who for one reason or the other could not register online. This year we are inviting submissions from writers/poets to participate in a literary strand that will be programmed on the day of the festival, and which will be published on The Crater Library website as an e-book after the festival. The Crater Literary Festival 2017 is now open for submissions from writers/poets to participate in the literary strand of the one-day literary festival. The closing date for applications is November 5th at 10 pm WAT. Departments of English and Literary Studies.